Sometimes bilingualism is a necessity, and sometimes it’s a choice. Parents may not be fluent in the dominant language spoken in their community or the school that a child attends and thus bilingualism is a necessity. Therefore, the child may learn one language at home and another at school. However, more and more we see that bilingualism is a choice, and parents choose to expose their child to a second language, even if they do not necessarily speak a second language themselves. Many parents report that this is due to the many benefits of bilingualism. A bilingual person is commonly defined as an individual that uses at least two languages. Multilingualism is when a person uses more than two languages. Bilingualism is a fluctuating system in children and adults and the use of, and proficiency in two languages may change depending on the opportunities to use the languages and exposure to other users of the languages. How do children develop more than one language? Simultaneous Acquisition occurs when a child has significant and meaningful exposure to two languages from birth (generally before the age of three). Ideally, the child will have equal, quality experiences in both languages. From early on, children who learn two languages simultaneously, are able to differentiate between the two languages and can easily switch languages according to their conversation partner (e.g. speak English to a English-speaking parent and speak Afrikaans to an Afrikaans-speaking parent). Sequential Acquisition occurs when a second language is introduced after the first language is well-established (generally after the age of three). Children may experience sequential acquisition if they move to another town where a different language is spoken. It can also occur if a child exclusively speaks his heritage language at home until he begins school, where learning is instructed in a different language. Better able to focus attention on relevant information and ignore distractions. More creative and better at planning and solving complex problems. More proficient with early reading skills. Likely to develop stronger overall skills in their first as well as their second language. Likely to have a greater tolerance for other cultures from a young age. A bilingual child will more easily play with children who do not speak their language and they are more likely to show interest in socializing beyond their established circle of friends. When raising a child, you want only the best for your little one. In my practice, parents often have many questions about what is the best way to raise a proficient bilingual child. No. In the past, bilingualism was considered the culprit in problems with speech and language development. Research indicates that bilingualism does not cause delays in either speech or language acquisition. While a bilingual child’s vocabulary in each individual language may be smaller than average, his total vocabulary (from both languages) will be at least the same size as a monolingual child. Some children that are raised bilingual may say their first words slightly later than monolingual children, but still within the normal age range. This delay is temporary and not a general rule. Bilingual children also develop grammar along the same patterns and rates as children in monolingual environments. Because they have different ways to communicate, bilingual children sometimes appear to be progressing slightly slower in early language development, but bilinguals mostly end up with a higher level of skill in their dominant language than their monolingual peers. Bilingualism itself does not cause language delay. No. This is by far the biggest misconception of bilingualism. From just a few days after birth, all infants can tell the difference between languages that are quite different and from as young as six months, children are able to tell two very similar languages apart. When children use both languages within the same sentence or conversation, it is known as “code mixing” or “code switching”. Parents sometimes worry that this mixing is a sign of language delay or confusion. However, mixing languages or code switching is harmless and a natural part of learning more than one language. Proficient bilingual adults often code switch when they converse with other bilinguals, and since children model what they see and hear, it is unrealistic to expect a child who lives in an environment in which mixing languages is the norm, not do so. Experts see code switching as temporary and as a sign of bilingual proficiency. One language often has a stronger influence on a bilingual child. When they have a smaller vocabulary in the minority language they may draw words form the majority language as needed. No. It rarely occurs that an individual is equally proficient in both languages. Most bilinguals have a greater proficiency in one language, the dominant language. The dominant language is often the majority language of the community in which the individual lives. An individual’s dominant language can change with age, employment, education, social network and many other reasons. No. It is never too late - nor too early - to introduce your child to a second language. The optimal time in which a second language is most easily learned is from birth to 3 years - exactly when a child is learning his first language and his mind is still flexible and like a sponge. The next best time for learning a second language is when is child is between 4 and 7 years old. Before 7 years a child processes a second language system on a parallel path to the first language. In other words, they build both language systems alongside each other and learn to speak both like a native speaker. When a child reaches the age of 7 it’s not too late to raise a bilingual child. However, studies show that after puberty, new languages are not developed parallel to a native language and are stored in a separate part of the brain. Children have to go through their native language as a path to the new language. People can learn a second and third language at any age, but it’s easier when this happens earlier. No. The One parent-one language approach is where each parent speaks a different language to the child. 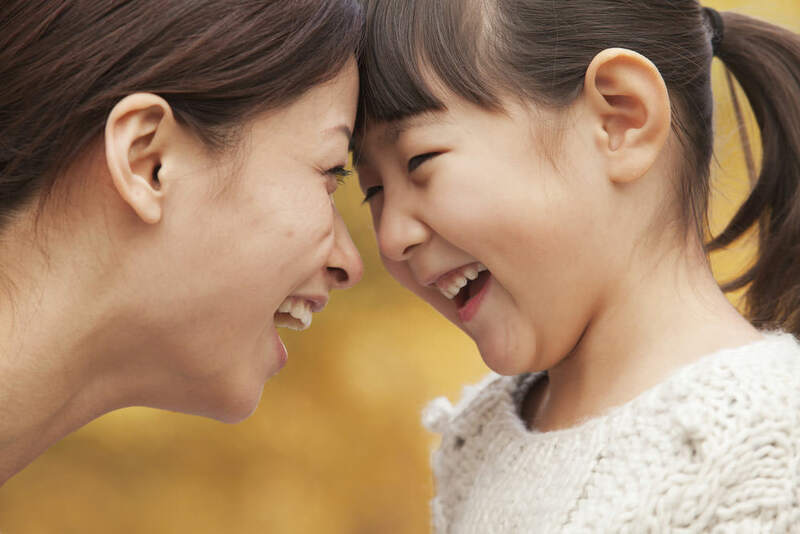 Many parents will choose the “one parent-one language” approach and while this is one option for raising a bilingual child, this is not the only or the best way. Many approaches can lead to bilingualism and children will mix their languages regardless of the parents’ approach. Parents should speak to their child in a way that is comfortable and that feels natural to them. How can I support my child’s language learning? The most important thing when raising a bilingual child is consistency. Let your child play with friends using the second language as children from all ages learn from another. Books can be one of the most effective tools for teaching language. When reading to you child, create a dialogue and encourage your child’s responses, comments and elaborations. A combination of music and movement is not only a nice outlet or squirmy toddlers; it can be used as a fantastic memory aid in language learning. Use your child’s interests and involve his passions in the minority language. Be creative and encourage your tot to make up stories, play dress-up and pretend in their second language. Find a nanny or an au-pair that can speak to your child in his second language. While quantity of spoken language is very important in learning a language, positive feedback is vital. Initially when a child is struggling to get those first words out, praise him for trying rather than correcting his errors. Your child may go through a silent period when he builds his understanding of the second language. He will begin to use imitative sentences and use one-word labels phrases such as “What’s this” or “Who’s there?“. These sentences are not constructed from the child’s own knowledge of the language but rather phrases he has heard and memorized. Slowly but surely, he will begin to produce his own sentences that incorporate some of the child’s own newly-learned vocabulary and not entirely memorized. At first your child may use a “formula” when constructing sentences and insert his own word into such a phrase such as “I want…” or “I see….“. You will see your child become more and more fluent and grammatical mistakes or sentences that are missing some grammatical rules are normal (e.g. “I don’t want to run” is translated to “Ek wil nie run _.” instead of “Ek wil nie hardloop nie.”). Some of the mistakes a child makes at this stage are based on language rules his first language and they may use language structure and vocabulary from both languages interchangeably. However many of the mistakes are the same mistakes that monolingual children make when they learn that language. As stated earlier, bilingualism does not cause language delay. However if a bilingual child demonstrates a significant delay in language milestones, he/she could have a language disorder and should be seen by a Speech Language Pathologist. If in doubt, rather go for an assessment. One thing that is definitely not a myth is that raising a child bilingually is hard work. It requires some planning and dedication and parents need to agree on when and how they want to embark on this journey. Any child can learn two languages from a young age without any harm to their development and performance in the dominant local language. Bilingualism can be a great tool for developing your child’s full capabilities.